This giveaway is sponsored by Prince Lionheart. You can get tons of entries by showing love and support to the sponsor and bloggers that make this giveaway possible. Set a reminder to come back daily as you can earn extra entries with daily tweets, secret words , and a few extra entries may be added during the course of the giveaway. It is worth returning, we promise! 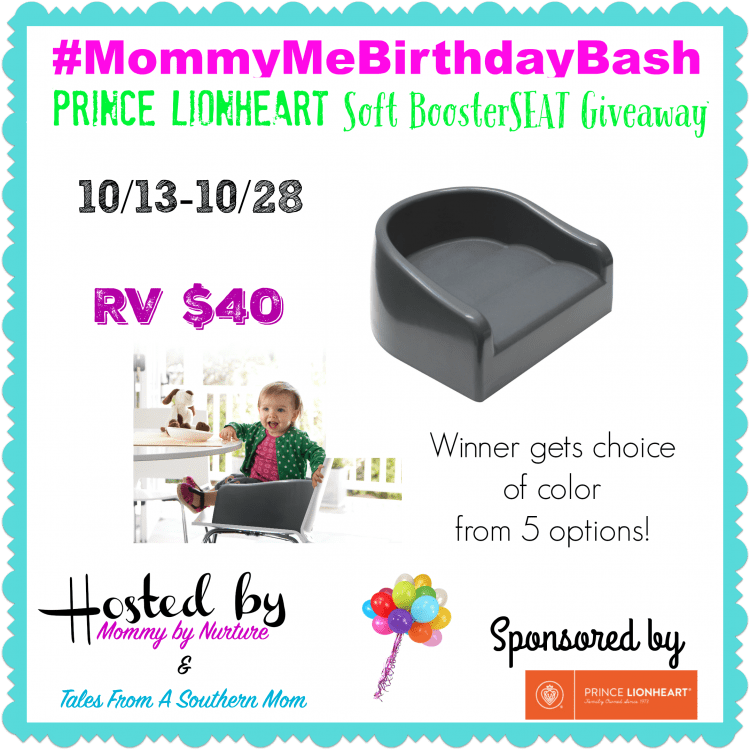 One lucky winner within the Continental United States will win a Prince Lionheart Soft BoosterSEAT for their toddler! Easy to clean, light weight, and sturdy. Winner will choose their choice of color from 5 colors available on the website. Recommended for ages 3+ but a soon to be two year old has been sporting it very nicely. Light weight enough to take to restaurants with you or to use daily at home. Ugh humus. My son is crazy about it and I cannot get off those straps. We don’t really do restaurants. Would love it- boosters are great! We went to a Perkins, and when the waiter came to the table she grabbed his face and got right in his face and said, “FRIES”. She was not quite 2, fries was her first word! Her messiest food to clean up was cake, frosting everywhere.